Doing things we enjoy gives us pleasure and adds meaning to our lives. People with Alzheimer's disease need to be active and do things they enjoy. However, don't expect too much. It's not easy for them to plan their days and do different tasks. They may have trouble deciding what to do each day. This could make them fearful and worried, or quiet and withdrawn. They may have trouble starting tasks. Remember, the person is not being lazy. He or she might need help organizing the day or doing an activity. Help the person get started on an activity. Break the activity down into small steps and praise the person for each step he or she completes. Simple activities often are best, especially when they use current abilities. You want someone with Alzheimer's to do as much as possible for himself or herself. At the same time, you also need to make sure that the person is safe when active. View, print, or download the booklet “Workout to Go” from the National Institute on Aging. To order a copy, call the Information Center at 1-800-222-2225 or visit the Go4Life ® website. Use a service such as Meals on Wheels, which will bring meals right to your home. For more information, check your local phone book, or contact the Meals on Wheels organization at 1-703-548-5558. For general tips on healthy eating, see Eating Well As You Get Older and Eating Safely. For tips on helping someone with late-stage Alzheimer's eat well, see Coping with Late-Stage AD. Plan activities that the person with Alzheimer's enjoys. He or she can be a part of the activity or just watch. Also, you don't always have to be the "activities director." 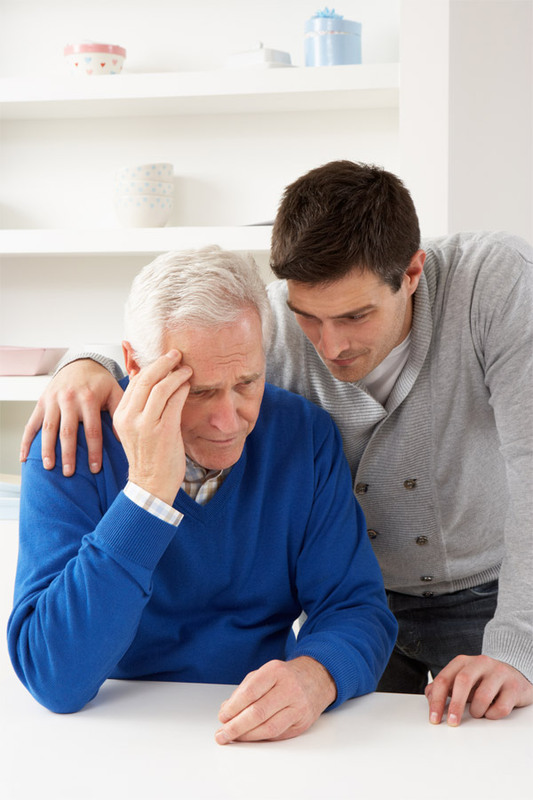 Get information on adult day care services that might help you. The person with Alzheimer's can do different activities each day. This keeps the day interesting and fun. The following sections may give you some ideas. sort recycling materials or other things. Being around children also can be fun. It gives the person with Alzheimer's someone to talk with and may bring back happy memories. It also can help the person realize how much he or she still can love others. Here are some things the person might enjoy doing with children. Play a simple board game. Visit family members who have small children. Walk in the park or around schoolyards. Go to sports or school events that involve young people. Talk about fond memories from childhood. People with Alzheimer's may like music because it brings back happy memories and feelings. Some people feel the rhythm and may want to dance. Others enjoy listening to or talking about their favorite music. Even if the person with Alzheimer's has trouble finding the right words to speak, he or she still may be able to sing songs from the past. Consider the following musical activities. Play CDs, tapes, or records. Talk about the music and the singer. Ask what he or she was doing when the song was popular. Talk about the music and past events. Sing or dance to well-known songs. Play musical games like "Name That Tune." Attend a concert or musical program. Many people with Alzheimer's enjoy pets, such as dogs, cats, or birds. Pets may help "bring them to life." Pets also can help people feel more loved and less worried. Here are some suggested activities with pets. Care for, feed, or groom the pet. Sit and hold the pet. Gardening is a way to be part of nature. It also may help people remember past days and fun times. Gardening can help the person focus on what he or she still can do. Here are some suggested gardening activities. Take care of indoor or outdoor plants. Water the plants when needed. Talk about how much the plants are growing.